Today we learnt about Data and how we can gather information using a Pictogram. 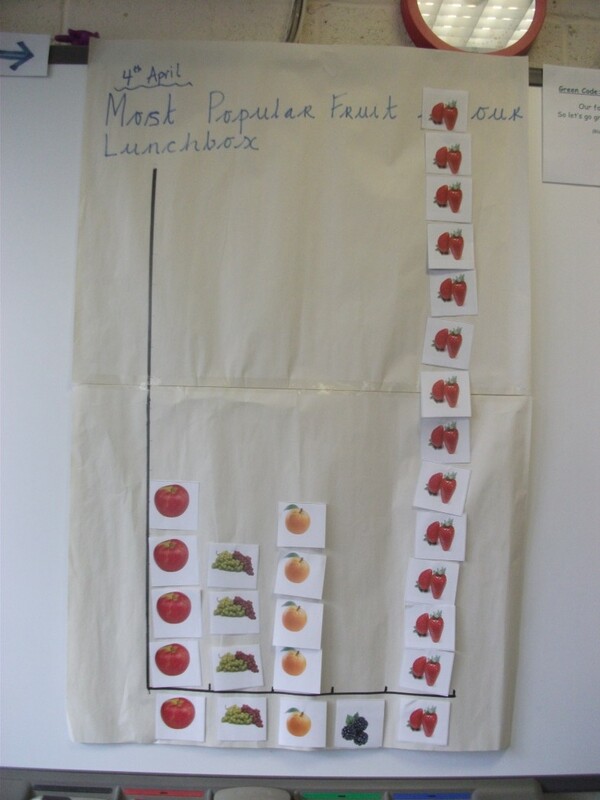 We looked in our lunch boxes and chose the most popular fruit inside. Then we put this information on our Pictogram. We could see very easily, that strawberries were the most popular fruit in our lunch boxes and blackberries were the least popular.